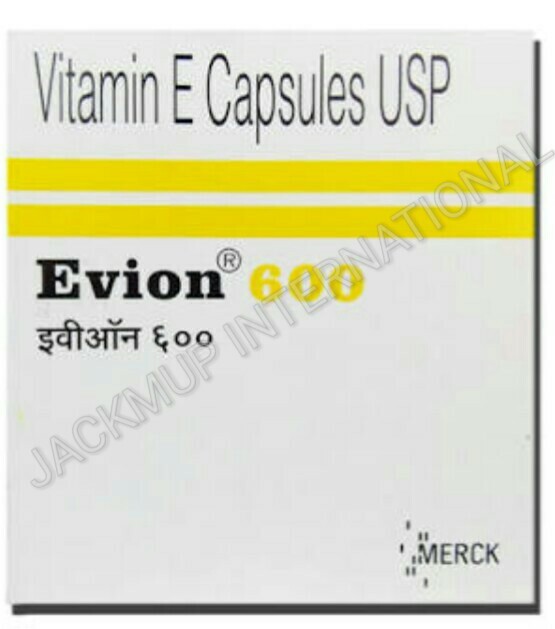 Description:- Evion 600 capsule contains Tocopheryl Acetate in a gelatine form. Tocopheryl Acetate (Vitamin E) is a natural chemical compound which is rich in antioxidants. The Evion 600 Vitamin E capsule eases nocturnal muscle cramps, boosts immunity and is good for heart and liver as well. Evion helps in treating acne, as well as fading away scars and ugly pimple marks. As an added benefit, it helps in treating wrinkles as it speeds up cell regeneration.